Flying geese triangles create ocean waves in this patchwork, row quilt. 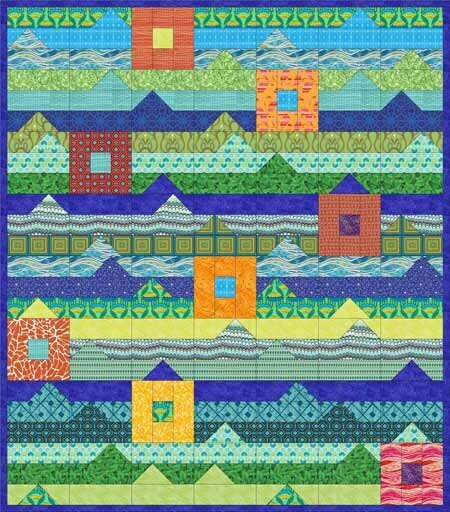 Contrasting squares are added to make a fun chain of islands. Throw quilt 65" x 74"